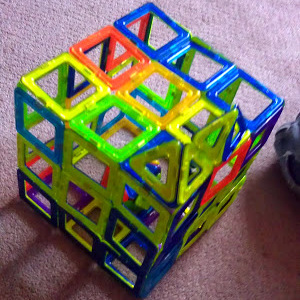 I played with Magformers at a playdate once and I fell in love. They are so simple. You just pick up a couple of pieces and the next thing you know, you have a shape and then a few seconds later, you have a 3D shape and it is perfect. I wonder if that is why it appeals to my two perfectionist children, especially Number 2. He is actually not much of a builder but after playing with Magformers, I dare say it has helped him become a "builder kid." Don't get me wrong. I don't think every child should be a builder but like math, we all don't have to be experts, but we need to have the basics. This turns into a house. You can achieve this with one set. It's so pleasing to prepare it to become one. See video below. I used additional pieces there. 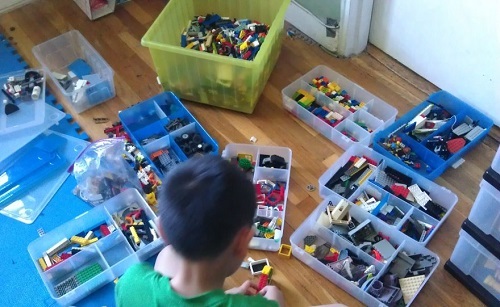 The Magformers Classic Set was an excellent choice to set up a foundation. 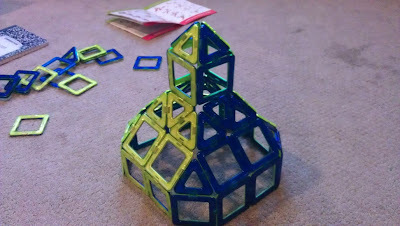 It consists of 30 pieces (12 triangles and 18 squares) and with them you can make plenty of interesting shapes. However, it is important to note that they are best used to make structural representations (houses, building, 3D geometric shapes) rather than say... a family (they would be really big and you'd need hundreds of pieces). That is actually a great thing for some kids, especially when you start off with building. The beginning of learning how to build should be fluid and fun. If you have fine motor clumsiness, the Magformers can be forgiving that way. Snapping tiles "together" is done by magnetic attraction. Your child just has to push them close to each other. 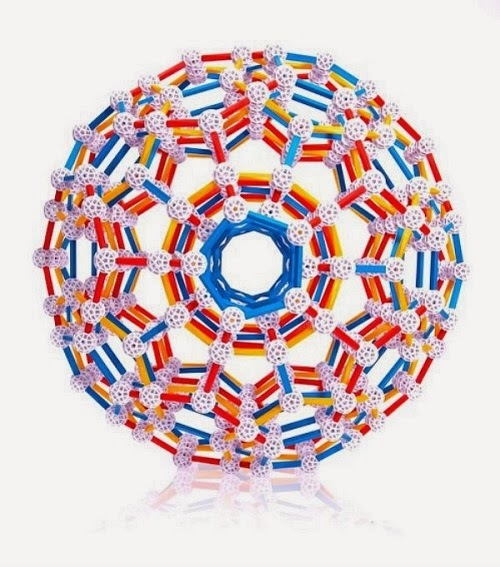 I found this image on magformers.com We can make this at home too but you need more than two classic sets for this one. Number 2 loves building this one! The other part that is really fun are the directions. 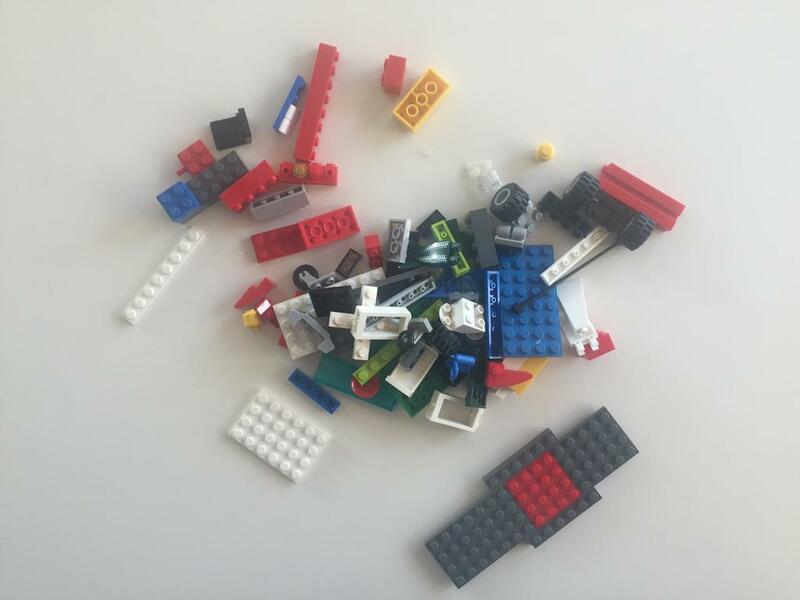 Many times, they have you lay out the pieces on a flat surface and then all you have to do is pick up your structure from the center and everything snaps into place. How magical! How gratifying! Number 2, who has always been in his builder-brother's shadow, finally found his calling via Magformers! He was so happy. I am happy too. I like what he seems to be picking up with Magformer play. It's subtle but I can still see that he seems to be doing things like measuring, organizing, planning, and taking chances while he builds. It a very non-intimidating kind of building, in my eyes even though, with enough pieces, you can make really cool designs. 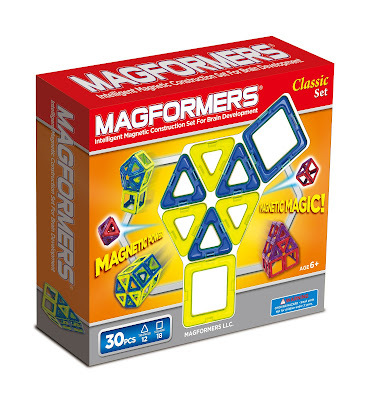 It is no wonder that young children love Magformers The package says six and above but I think 5 is a safe bet too. Four year olds with good spatial reasoning skills may be able to enjoy magformers as well. Parents must be aware that the magnets inside the shapes are very strong, (if they weren't, the toy would not work as well). While I haven't thrown it against the wall, the shapes do seem to be high in quality. My son loves making this one. This structure requires more than one Classic set. I was very happy to have found a good deal on Amazon so that Number 2 could build more houses. When I found out that the Classic Sets were at a good price, I snagged two. I had a feeling that we would want two. Building Can Be Relaxing? Yes! For playdates, I really like Magformers as well. 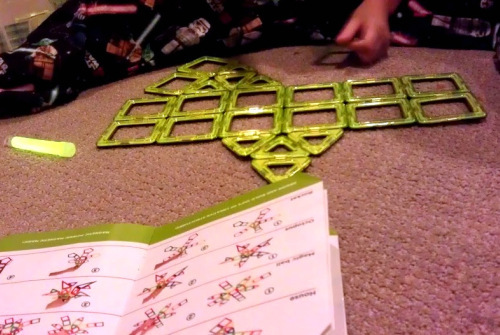 I feel like, as long as you have enough pieces to go around, the play could be very relaxing as kids build alongside one another. This relaxing quality is also felt by the grown-ups (namely me!). I love to fidget with them. They make a very pleasing sound and I'm sound-sensitive so Magformer clicks are like music to me. Hey wait a minute, listening to music while building? That sounds like a good idea to me. How come I've never tried that? This is what I mean about magic and relaxation. Good ideas come to you when you are not even looking for them. Later we found another good deal on QVC and bought these translucent pieces that seem to be hard to find. Want one now? Try my Amazon link. Remember that the list price is $49.99. So if you spot a good deal, grab one (or two). One strategy I use is to put it in my shopping cart (which also helps Toys are Tools) and then everytime I go on to Amazon, Amazon will tell me if the price of my items in my shopping cart went up or down. Want one right this minute? 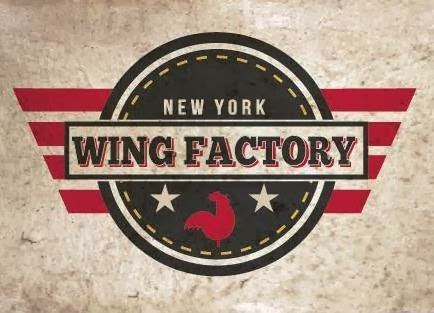 I think you should be able to find them in specialty retailers. Call one nearest you to see if they carry it. Disclosure: Toys are Tools has not been compensated in any way by the manufacturer of this product. The product was purchased by the tester.